If your truck is missing its antenna or you have noticed that it is beat up or bent, then it is time to take a look at a new Tacoma antenna. The appearance of your truck means everything and if your antenna is not up to par, then you will find that it is almost near impossible to hold an intimidating look and you may not be able to pick up any radio or weather stations. This can be scary for you, especially if you are out on the terrain and a storm starts to move in. It is also inconvenient because you cannot jam out to your favorite songs as you work or take on that rock that you have eyed for the last several weeks. Antennas on your truck serve multiple purposes and they can help bring your entire truck’s look together all at once. When someone does look at your truck, you do not want them to first notice that the antenna is mismatched or that it is missing. 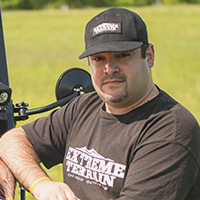 ExtremeTerrain is proud to be able to offer you a number of different antennas to choose from and you can decide on which model or option best meets your needs. Many of the newer antennas have a sportier look which has become a fan favorite. Each antenna installs on your truck in seconds and is ready to use directly out of the box. You can choose from both chrome or black powder coated options to ensure you bring the look of your truck together. ExtremeTerrain is proud to be able to present you with quality antennas at an affordable price, so that you can replace yours without worry. Come shop our online selection today and choose your favorite antenna and we will ship it right to your door.